Where to Play! 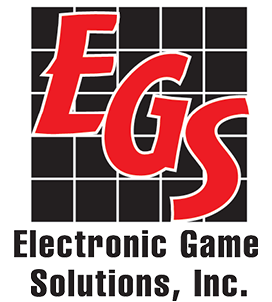 – Electronic Game Solutions, Inc.
Bergeys 2232 West Superior St Duluth, MN 02794-020 Duluth Softball Players Assoc. PowerHouse 423 3rd Ave, Proctor, MN 02305-012 Irving Community Assoc. Gopher Bar 402 N Central Ave, Duluth, MN 02305-002 Irving Community Assoc. Player’s Sports Bar 4024 Grand Ave, Duluth, MN 02305-020 Irving Community Assoc. Mitchs Bar 2113 W. Superior St Duluth, MN 02305-003 Irving Community Assoc. Kallis Place 6730 Hwy 210 Wright, MN 02305-035 Irving Community Assoc. Cloquet Bar & Lounge 914 Cloquet Ave Cloquet, MN 02305-028 Irving Community Assoc. Shotz Bar 1321 Commonwealth Ave Duluth, MN 02305-005 Irving Community Assoc. Cloquet Labor Temple Bar & Lounge 1403 Ave C Cloquet, MN 02305-029 Irving Community Assoc. Mr. Ds Bar & Grill 5622 Grand Ave Duluth, MN 02305-040 Irving Community Assoc. Pit Stop 3 6th Street Proctor, MN 02305-008 Irving Community Assoc. Roscoes Pioneer Bar 323 W 1st Street Duluth, MN 02305-015 Irving Community Assoc. Third Base Bar 225 Chestnut St Carlton, MN 02305-036 Irving Community Assoc. Luckys 13 – Duluth 1600 Miller Trunk Hwy, Duluth, MN 02305-039 Irving Community Assoc. Lake Park Liquor Store 902 S. Hwy 10 Lake Park, MN 00702-001 Lake Park Fire Relief Assoc. River Inn 3212 River Gate Ave Scanlon, MN 36413-010 REACH, Inc.
Fireside 3410 150th St W Rosemount, MN 05530-001 Rosemount Area Athletic Assoc. By admin| 2018-08-06T18:37:50+00:00	August 6th, 2018|Uncategorized|Comments Off on Where to Play!